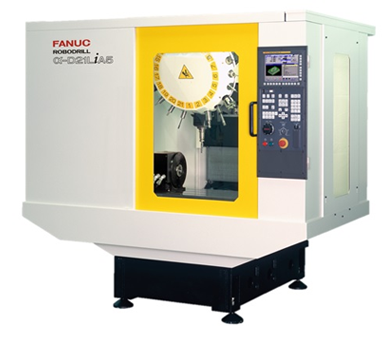 FANUC Robodrill is a High Speed, High Precision machining centre. FANUC DDR is a high speed, highly accurate 4th axis that is exclusivly for the FANUC Robodrill. This 4th axis features a direct drive servo motor that enables extremely fast and accurate indexing of 180 degrees in 0.3 seconds with an accuracy of 10 seconds. The DDR is an extremely compact unit that does not waste any space on your Robodrills table.